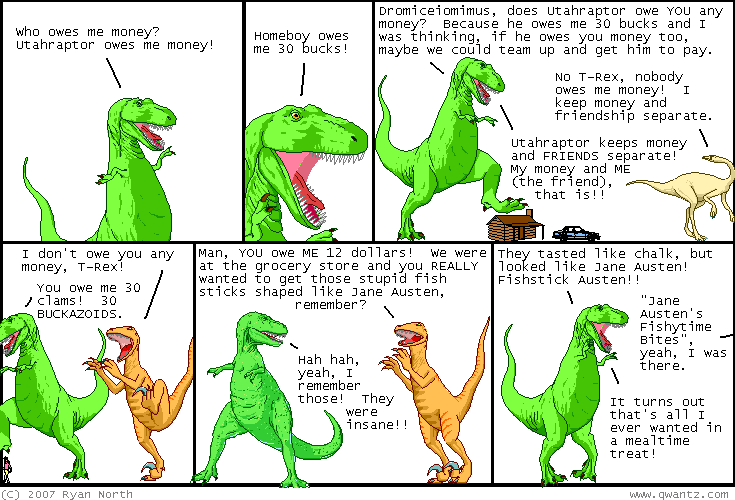 Dinosaur Comics - March 29th, 2007 - awesome fun times! –They're the ghosts of cheezed-off kids! March 29th, 2007: I meant to mention sooner that Dinosaur Comics is now running weekly in the Portland Mercury, CLEARLY the most kickin' paper in Portland! If you are in Portland then you are in luck because you have a rad paper.